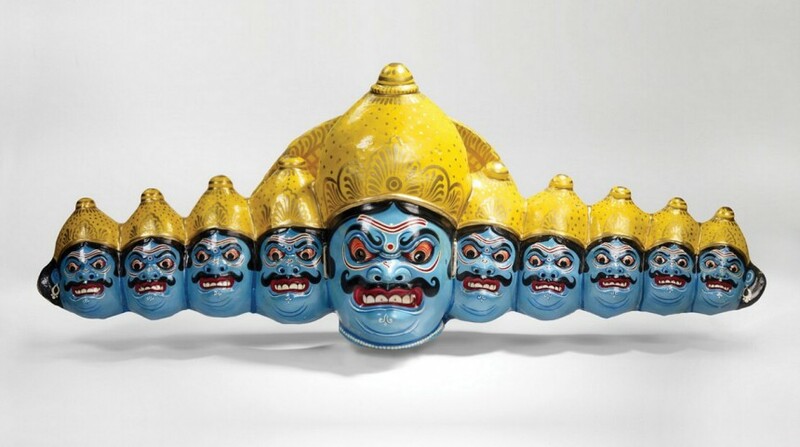 Ravana mask from Chau dance (1990 or 1991; © musée du quai Branly, photo Claude Germain). With over 3,500 artifacts on display and more than 300,000 in its vaults, the Paris-based Quai Branly Museum has one of the world’s greatest collections of indigenous art. 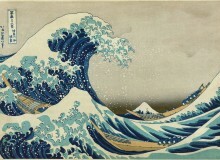 Highlights from their entire collection have been brought to Japan for the first time this year, as part of a collaboration with the newly re-opened Teien Art Museum in the Minato ward. The exhibition “Masks – Beauty of the Spirits” showcases 102 specially chosen masks of ritualistic, ceremonial, or religious significance. While most people will be aware of the role of masks in festivals and carnivals, it’s less well-known that they’ve played a much deeper, spiritual role—particularly in indigenous cultures. 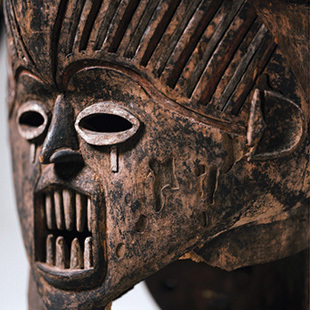 Masks have allowed tribesmen to make contact with their ancestors, take on the roles of spiritual or historical characters, and even drive out evil spirits through exorcism. 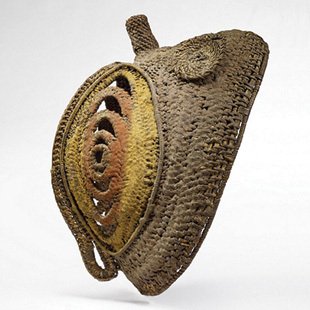 For the exhibition, almost every available space within the Teien Art Museum is utilized, with rooms on the first floor of the main building dedicated to the African works, and the upper floor housing the masks from Oceania, Asia, and the Americas. While some limited exhibition notes are provided in Japanese, visitors are encouraged to focus on the visual side of the masks, to marvel at the craftsmanship and the creativity of their makers. For the most part, the masks are given plenty of breathing room, and can be observed from all angles. This selection of masks comes from more than 25 different countries. When series of masks from the same country are grouped together, visitors are able to get some sense of cultural continuity. Visitors tended to pass quickly by masks that were presented on their own, like the jolly Thai Ngoh. 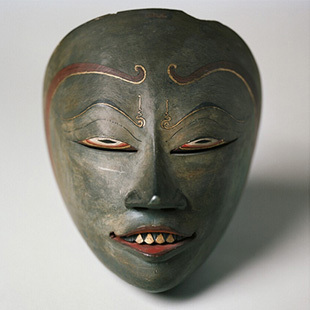 Sometimes displaying solitary masks is inevitable; in this case, the Quai Branly has numerous other masks from Thailand that could have complemented this one. The group of noh and kyōgen masks on the second floor drew a fair amount of attention, part of a collection of almost 200 Japanese masks that the Quai Branly holds. Some additional information about the masks can be accessed in the digital exhibit, “Close-up Loupe.” Here, viewers can use a touch-screen interface to zoom in on small details of each mask, with notes about each part. It’s good to see some interactive technology. But with only one screen and one language available, its usability is limited. We get more of a contextual feel for the masks in the Annex building, which has three screening areas including film shorts from the German Encyclopedia Cinematographica project, shot in four continents, and footage from the National Museum of Ethnology, which looks at Asian dance dramas and mask theater. The footage has apparently been edited, but takes hours to see completely. 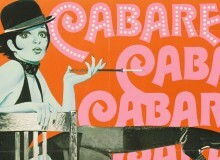 The rituals and performances on display are intriguing, but impenetrable without sufficient annotation or commentary. 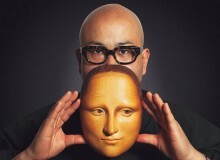 The anthropologist Claude Lévi-Strauss once said that masks “cannot be interpreted in and by themselves as separate objects.” From his standpoint, it’s clear that a deeper understanding of the context is necessary to fully appreciate the art form. On a purely visual level, there’s a wealth of ideas to take in at the exhibition, and the Teien Art Museum is a beautiful place to experience this selection. Some may leave “Beauty of the Spirits” with unanswered questions, but I’m sure many people will feel inspired to learn more and to visit Paris to see the full Quai Branly collection.